The fruits and vegetables from which Juice Plus+ is made are grown in a variety of locations best suited in soil and climate to each particular fruit or vegetable. Juice Plus+ makes every effort to source and use the highest quality, vine-ripened fruits and vegetables available. Organic produce is used whenever possible. Having been several times to the facility where Juice Plus+ is encapsulated and seen the lab where quality is tested, it's my opinion that Juice Plus+ is 'better than organic'. The produce, the juice and the resulting powders are all tested to be free of any measurable amount of herbicides, pesticides and other toxic chemicals; in fact, every toxin known to man, including e-choli. 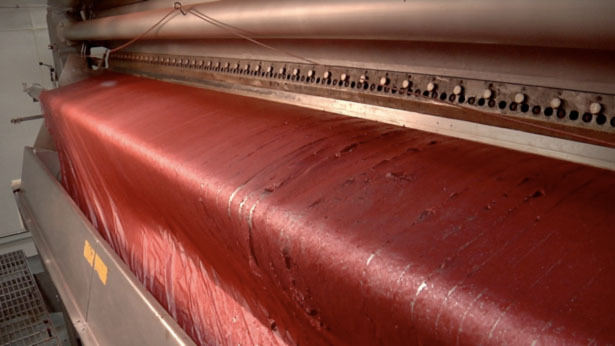 All testing is performed to US Food and Drug Administration standards. Even organic produce is permitted to contain measurable levels of toxic chemicals. Organic food is produced by farmers who emphasize the use of renewable resources and the conservation of soil and water to enhance environmental quality for future generations. Organic meat, poultry, eggs, and dairy products come from animals that are given no antibiotics or growth hormones. Organic food is produced without using most conventional pesticides; fertilizers made with synthetic ingredients or sewage sludge; bioengineering; or ionizing radiation. Before a product can be labeled "organic," a Government-approved certifier inspects the farm where the food is grown to make sure the farmer is following all the rules necessary to meet USDA organic standards. Companies that handle or process organic food before it gets to your local supermarket or restaurant must be certified, too." [This is from the USDA's website .... note use of the word most!] There are separate tolerance levels established by the USDA for different produce, and some are allowed to contain pesticide residue up to 5 percent of the EPA tolerance established for that produce for that particular pesticide, and still be sold as organic. Once we claim Juice Plus+ to be 'organic' we can never go back; so until we can be confident that we will always have at least 95% of all the ingredients in Juice Plus+ organic (the USDA's definition), we will not make that claim. One reason is that we are increasingly growing our own produce (eg. kale) because there is insufficient supply to meet demand. There is simply no point going through the laborious process to be certified organic when we are growing kale only for Juice Plus+; and when we know and can guarantee that Juice Plus+ is 'better than organic'! Although not all our growers are certified organic, in the words of the biochemist in charge of Juice Plus+ Quality Assurance "We go to great lengths to give you a product that is free of pesticides and herbicides. The quantity of organic produce used to make Juice Plus+ varies from batch to batch depending upon several factors including availability of well-ripened organic fruits and vegetables. We buy only from the well-established suppliers we have known for many years. Additionally, the finished fruit and vegetable powders are tested for the presence of these contaminants. You can be assured of a product that is free of pesticides and herbicides." Juice Plus+ Orchard and Garden Blend capsules, Juice Plus+ Vineyard Blend capsules and the Juice Plus+ Complete drink mix have earned the product quality "seal of approval" from NSF International, the Public Health and Safety Company. 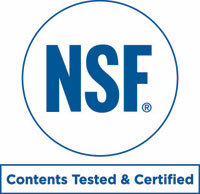 NSF is a not-for-profit organization dedicated to product and ingredient safety. They provide peace of mind to both consumers and industry through their various product certification and 'Good Manufacturing Practices' programs. The NSF seal of approval demonstrates to the public that Juice Plus+ products meet the highest industry standards; in this case, that means the very stringent requirements of NSF's dietary supplements and functional foods certification program. This program independently verifies that what is on the label is in the bottle, and that the product does not contain undeclared ingredients or contaminants. All ingredients use in Juice Plus+ products test "GMO-free". Finally, since safety is so important, consider this: Wake Forest University (in a study funded by the NHI/NCI) and MD Anderson in Houston have given Juice Plus+ to head/neck and ovarian cancer patients (respectively); the ovarian cancer study is now published. Since toxins are especially dangerous for anyone with cancer, those research centers would not risk their patients' very lives during those Juice Plus+ clinical studies, if they had any doubts about safety. They first satisfied themselves that Juice Plus+ is not only efficacious, but is absolutely safe. This is true of all the researchers involved in the more than 30 published studies of Juice Plus+. We hope this helps you better understand why Juice Plus+ does not claim to be fully organic, but is - in our opinion - "better than organic. You can read here more about the way Juice Plus+ is made. Juice Plus+ is second to none in terms of quality, effectiveness and affordability. It's "the next best thing to fruits and vegetables" only because it is dehydrated fruits, vegetables, berries and grains; it is not exactly the same as "the real thing".